Coco Pazzo’s Bucatini Con Le Sardi Breaks the RulesIt’s one of several dishes on the menu called a piatto unico, and you might think of it as a sort of Italian meat + three. Pino Luongo Conjures Up His ’90s-Era Megahit Coco Pazzo in SohoStill pazzo after all these years. Italian Favorite Coco Pazzo Will Make a Comeback This FallPino Luongo revives his ’90s-era hot spot in Soho, with a fast-casual component. Centolire Hits Auction Block, Manager Denies TroublePino Luogno’s UES joint appears to be in jeopardy. Carmellini Fires Back at ‘Over the Hill’ LuongoAnd we have our first chef feud of 2011. 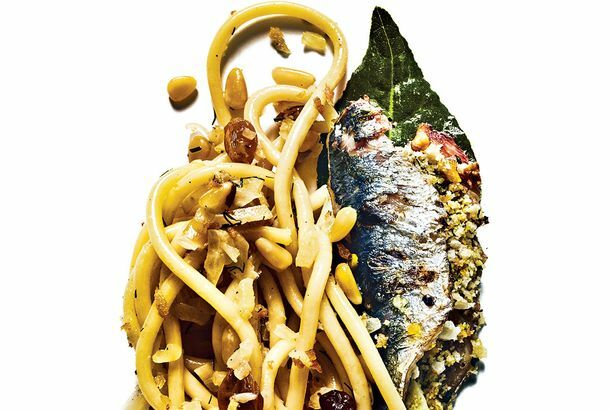 Pino Luongo on Locanda Verde: ‘The Worst Italian Food’The Italian longtimer slams the new guard. 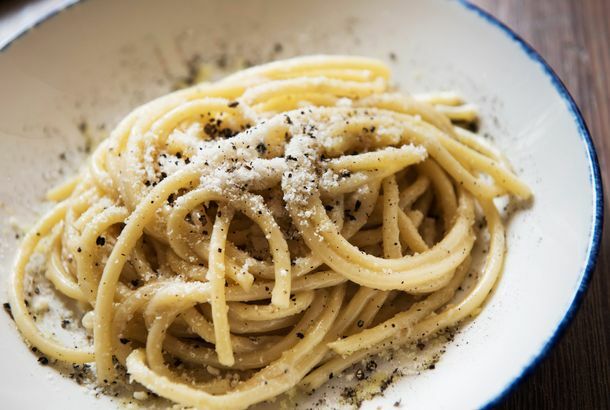 ‘Dark Prince of Italian Fine Dining’ Pino Luongo Plans a New OneAnthony Bourdain’s boss in ‘Kitchen Confidential’ is finally ready to open another restaurant. Bill’s Rockefeller Set for SpringIt’s official: Bill’s Bar and Burger is coming to Rockefeller Center. Pino Luongo Demands Stefan of Top Chef Change Book Title (and OpensAnthony Bourdain’s former boss and the author of ‘Dirty Dishes’, is flabbergasted that a Top Chef is using the title of his memoir. Bourdain Mentor and ‘Dark Prince of Italian Fine Dining’ Pino LuongoA new memoir from the Italian trendsetter has some salty words for the critics. Joey Chestnut Reigns Over Pizza; Gossipy Memoir From Pino LuongoAlso in our news roundup: an alternative to Momofuku Ko, and a lesbian bar revitalized. Tuscan Square’s Meatball Maven Gets His Say — and Sandwich of the If you saw Page Six last Thursday, you know that there may be a vast meatball conspiracy upon us. A quick recap of the item: Restaurateur Pino Luongo yields to no one in his devotion to the study and the making of meatballs, and along with Coco Pazzo chef Mark Strausman, he is feverishly scribbling a manuscript entitled Two Meatballs in the Italian Kitchen. 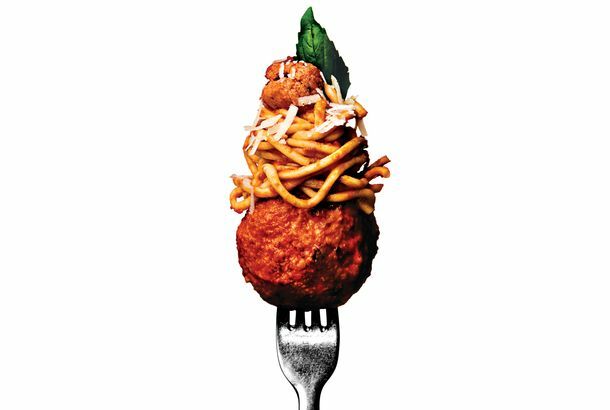 Yet Luongo was ignominiously left out of an article by the Lee brothers in the Times’s Dining Section entitled “The Expanding Meatball Universe,” which traced the not-so-recent popularity of the things to the giant beef-veal-and-pork orbs made by Ápizz chef-owner John LaFemina (author of A Man and His Meatballs). Luongo smelled a rotten polpetta.